What's on at Brands Hatch? This general testing day at Brands Hatch is open to MSA license holders. Places are available for both open and closed wheel racers. The MG Car Club features cars across a spectrum of eras from the famous British sports car manufacturer. The MGCC promotes and runs several of its own championships, and regularly features guest series at is events. Racing this weekend includes the MGCC MG Trophy, MGCC BCV8 Championship, MGCC Peter Best Insurance MG Cup, MGCC Drayton Manor MG Metro Cup, MGCC Lackford Engineering MG Midget/Sprite Challenge, MGCC Triple M Race for Mary Harris Trophy, Equipe GTS and more. Supercar Drive Days offer a range of driving experiences. Please see their website for further details. The 2019 Blancpain GT World Challenge Europe kicks off at Brands Hatch in May with a mouth-watering supercar spectacular, starring racing versions of some of the planet’s most exotic performance cars. Stunning cars set to appear range from examples of the latest Aston Martin Vantage AMR GT3, to the Audi R8 LMS and even a Lexus RC F GT3, entered by a team jointly owned by World Cup winning goalkeeper Fabien Barthez and ex-F1 racer Olivier Panis. Everyman Racing offer a range of driving experiences. Please see their website for further details. 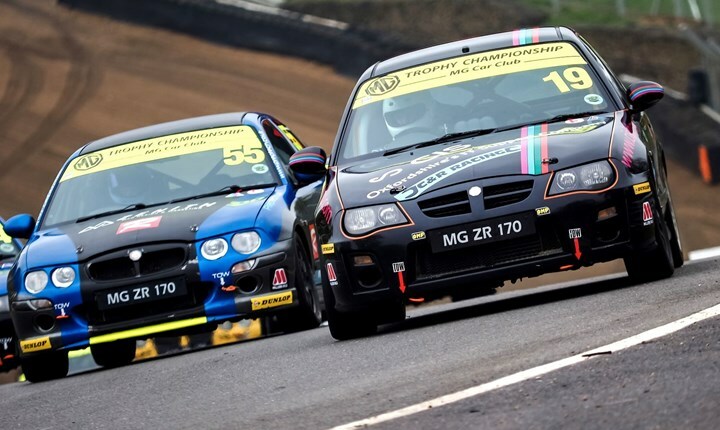 The MG Car Club (MGCC) return to Brands Hatch this weekend (27/28 April) for a packed two-day schedule of racing at the Kent circuit.